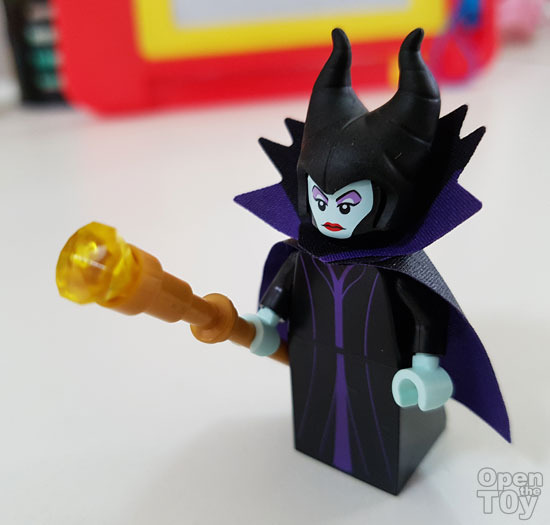 Next on my Disney LEGO minifigure was Maleficent. She is one cool character I would like to have as she look wicked and awesome! Anyway here is how she should come in a package without being assemble. 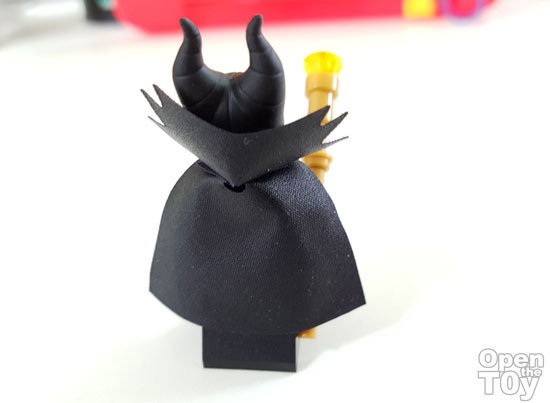 Do note there is two colors on each side of the cape. 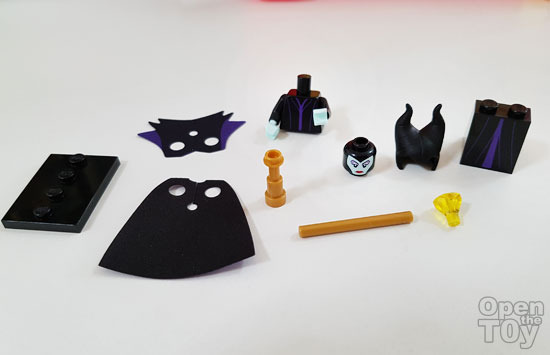 One side that should be inside is purple while the outer is black. 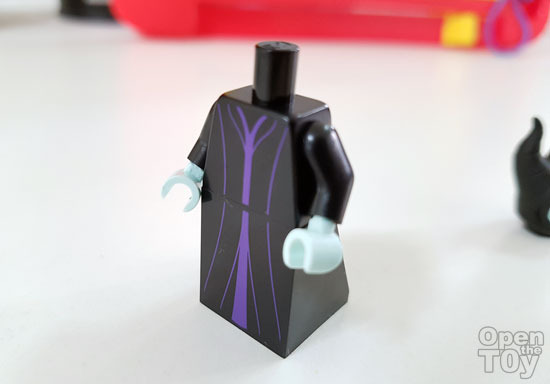 The lower body is a full dress brick that is square in base. 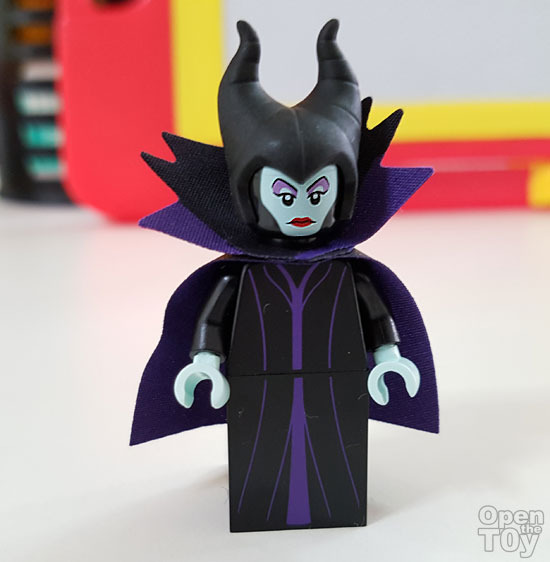 Here is Maleficent fully assembled. The back view look great too. Remind me of Angelina Jolie. 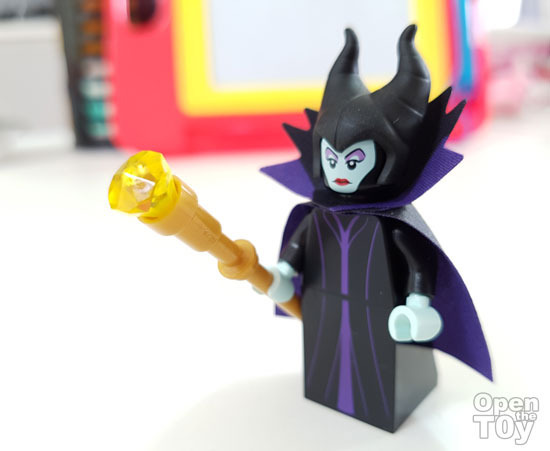 The staff actually made of 3 parts and the design of the staff was according to Disney animation Sleeping beauty version of Maleficent. Yes please don't sleep on this one. 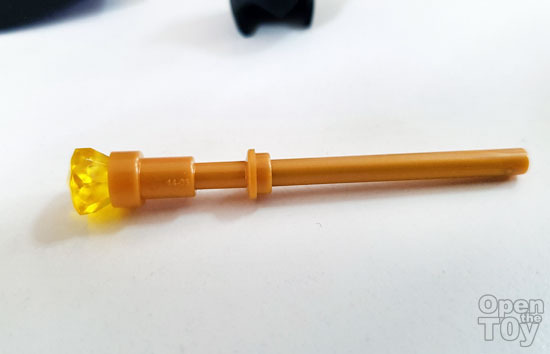 If I have a bone to pick with LEGO would not be the staff but more on the difference of her headdress. In the brochure, she have a glossy plastic headdress but the actual figure was a soft rubber that isn't glossy. 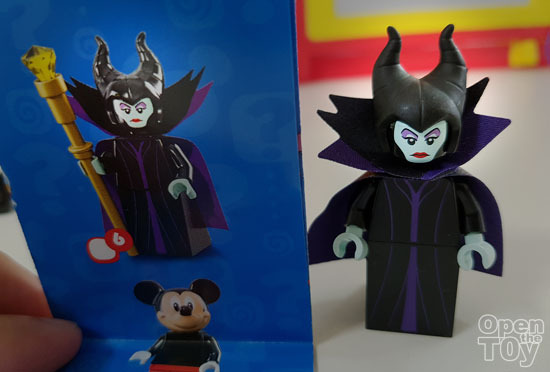 With that change, it kinda discount how Maleficent look. Not too sure you like it Glossy or Matte. Do you prefer any difference? 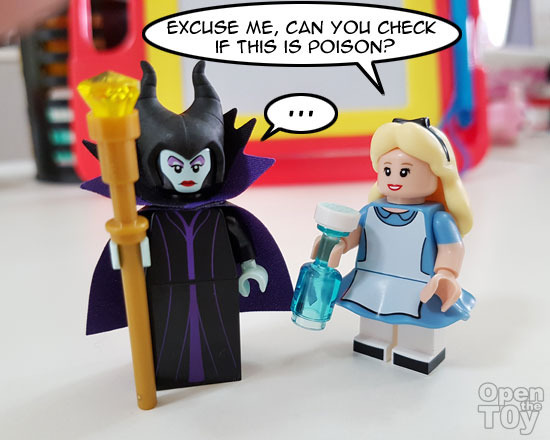 Also read review of Alice, Stitch, Syndrome and Minnie Mouse of these series.